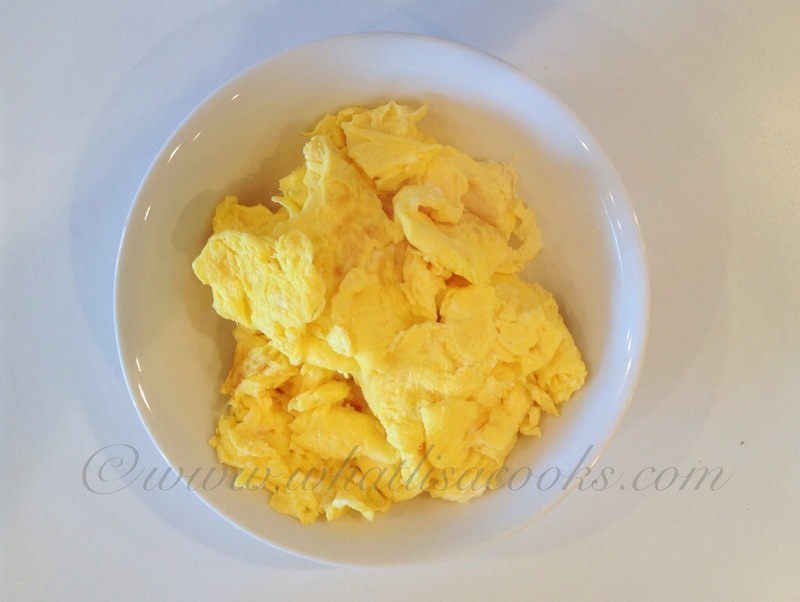 Scrambled eggs seem like such a simple thing. A staple. An answer for breakfast, lunch or dinner when all else fails. Yet, even though they seem simple - there seems to be as many methods for making them as there are cookbooks. Every cook seems to have their own "secret" for making them just the way they like - and every person that eats them probably likes them in just a slightly different way. Me: I like firm scrambled eggs. 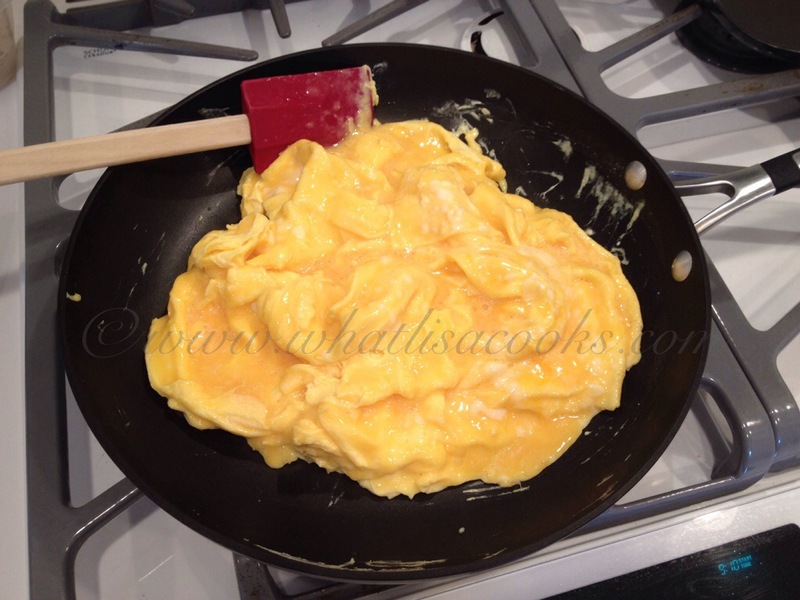 While I do love me a good runny poached or fried egg, scrambled eggs that are undercooked kind of gross me out. People always tell me that I make great scrambled eggs. (I do love them.) And they ask what I do to make them so good. My secret: don't mess with them too much! Keep them simple, lightly seasoned, and cooked with minimal intervention. Now that's not to say that I don't also love a good mixed up scramble full of cheese and veggies and maybe even some sausage or ham, topped with more cheese and maybe some salsa.... but that's an entirely different meal. 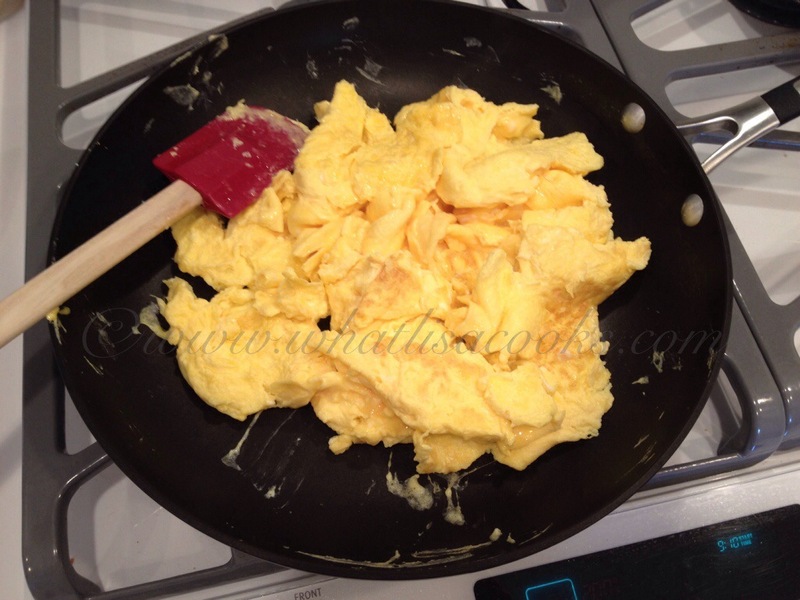 Today I'm talking about basic scrambled eggs, and in this situation I think simpler is better. 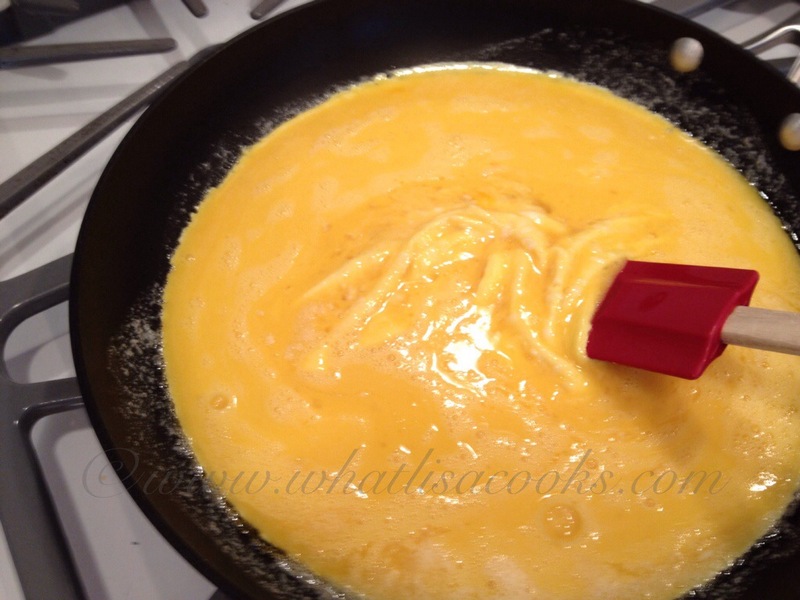 So here you go - step by step - how I make scrambled eggs. 1) start with good eggs. There is a difference in the flavor. I try to buy organic eggs, and lately we've been getting farm fresh pastured eggs through the folks that we get our weekly organic produce box from. 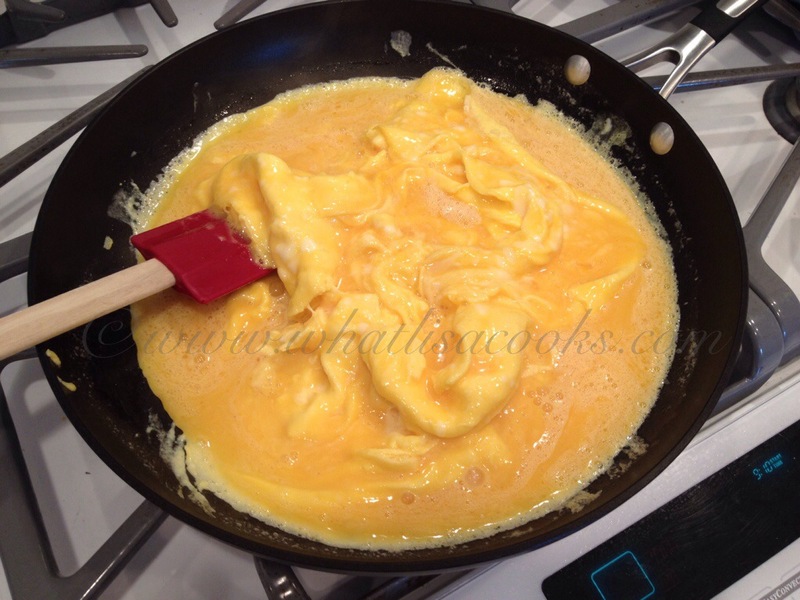 Ordinary eggs are ok for use in recipes as a binder, but when you are cooking eggs to be eating eggs - get eggs that taste good. 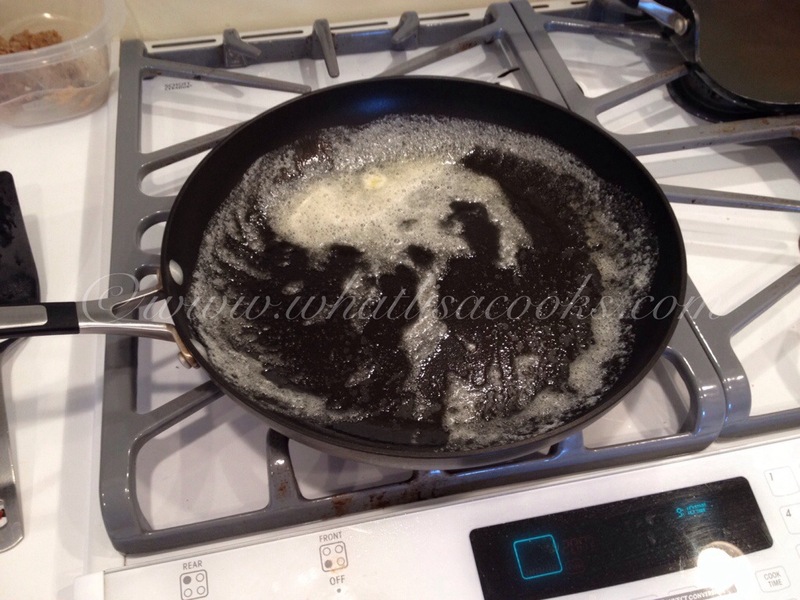 2) Then - I season them with just a little salt, and just a tiny bit of garlic powder. Really not much - the goal is not garlicky eggs. It just brings out a little extra flavor. I don't add any water or milk - I've never seen the point in that. 3) Then beat them well. 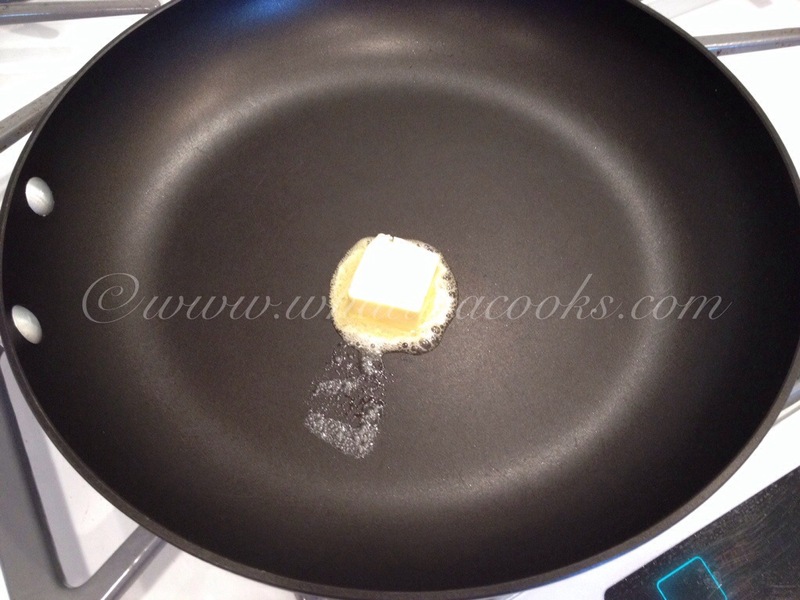 4) In a good, heavy nonstick pan - medium to low heat, plenty of real butter. 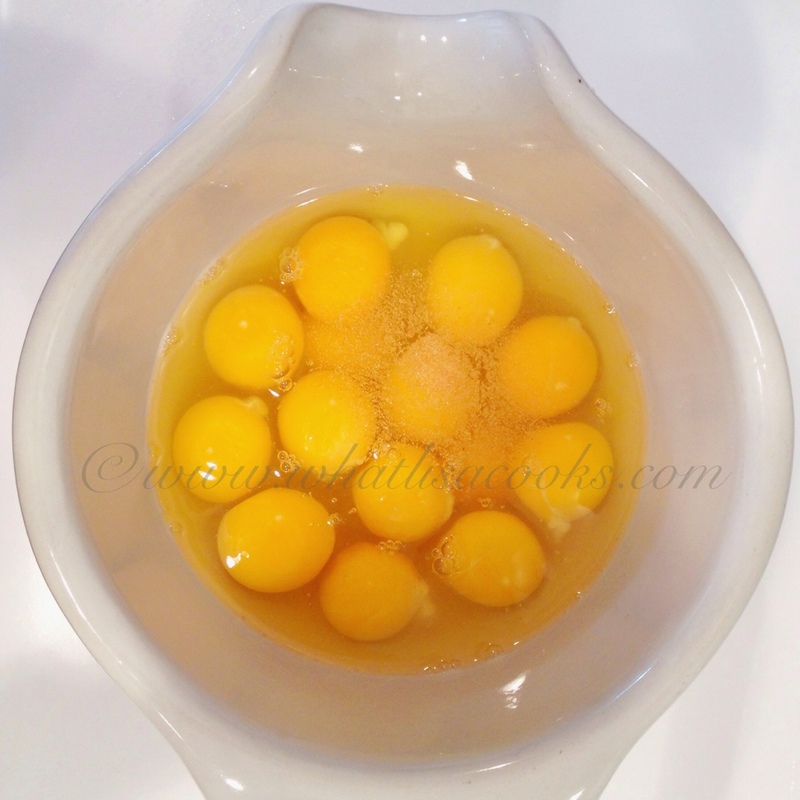 5) Pour in the beaten eggs. and don't touch for a few minutes. 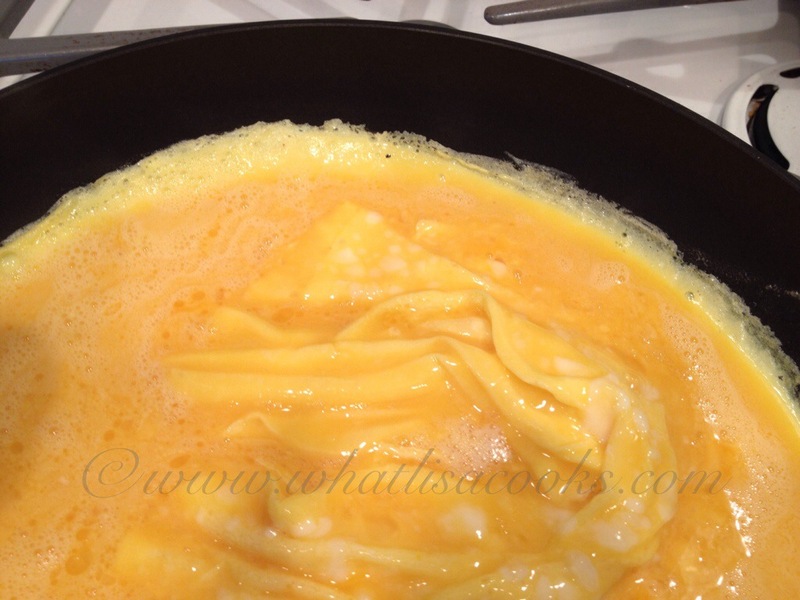 6) when you start to see them thicken and cook around the edges, gently push in and fold over the cooked part - exposing the still runny part to the surface of the pan. and then let them sit again for a minute or two. 7) Repeat this a couple times - just gently folding over. Not stirring. 8) finally, when it's all mostly cooked, turn it all over one more time. 9) serve. nice and hot. Perfect with some freshly buttered toast. Or even better - make a scrambled egg sandwich: good bread, toasted, butter, mayo, egg. One of my most favorite things.